I've been seeing Dr. Patricia Patino for several years. I've always said that she is the best dentist on the planet Earth. Her attention to detail is like none other. And, really pain-free. that is what I feared most. I was phobic when I started seeing Dr. Patino, but she has put me at ease. The staff in the office are very friendly. Expect to take some time, but it is worth it, we are treated with utmost care. I have been seeing Dr. Patino for the past 3 years. She is excellent and has a professional team. I was embarrassed about my teeth for years and Dr. Patino never made me feel bad about my once terrible teeth that are now much better. 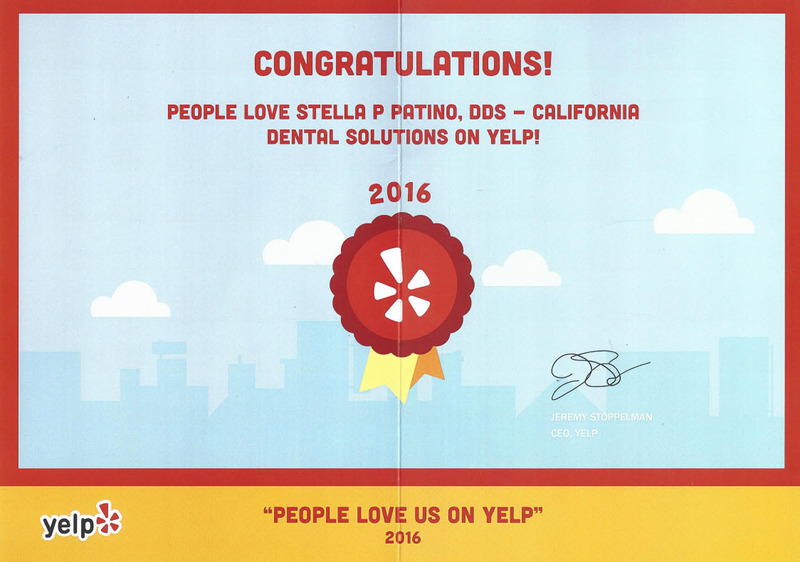 Dr. Patino and her staff are excellent, friendly, thorough and detail oriented. I could not be happier with their care and my results. She replaced two crowns in one visit and they fit perfectly and look amazing! She is very gentle during all her procedures as well. The staff even made me a nutritious shake during a break. The best dental work I ever received. Fixed my broken crown and broken molar in one session. The left side of my mouth feels and looks new. So happy didn't think it was possible to restore so nicely without implants and veneer. Next step braces!